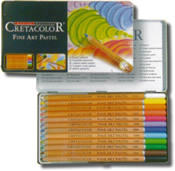 Cretacolor Pastel Pencils are smooth, soft, pastel pencils which come in 72 bright, lightfast colours that can be smudged and mixed together to create a huge range of tints. 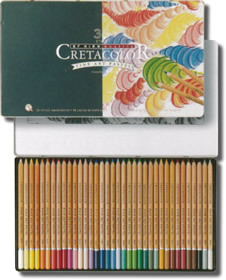 The quality of the materials and manufacture of the Cretacolor Pastel Pencils pencils allow them to be sharpened to a point for detailed work. 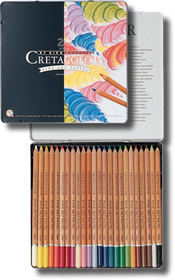 In all Cretacolor Pastel Pencils are beautiful, soft, smooth pastel pencils that give you the ability to be precise and exact. 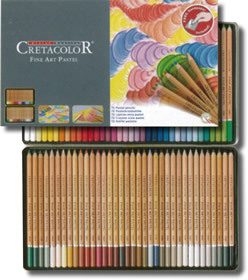 The whole range in one tin.